Isolation of DNA from cells present in soil or other environmental samples The FastDNA® SPIN Kit for Soil quickly and efficiently isolates PCR-ready genomic DNA directly from soil samples in less than 30 minutes. Designed for use with any FastPrep® Instrument, plant and animal tissues, bacteria, algae, fungi spores and other members of a soil population are easily lysed within 40 seconds. These benchtop devices use a unique, optimized motion to homogenize samples by simultaneous impaction with lysing matrix particles. Up to 300 mg of soil samples are placed into 2.0 ml tubes containing Lysing Matrix E, a mixture of ceramic and silica particles designed to efficiently lyse all soil organisms including historically difficult sources such as eubacterial spores and endospores, gram positive bacteria, yeast, algae, nematodes and fungi. 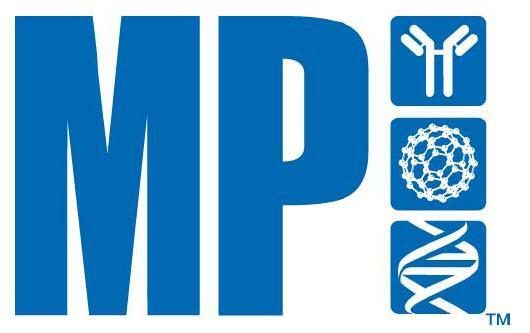 Homogenization takes place in the presence of MT Buffer and Sodium Phosphate Buffer, reagents carefully developed to protect and solubilize nucleic acids and proteins upon cell lysis. These reagents work together to allow extraction of genomic DNA with minimal RNA contamination. Following lysis, samples are centrifuged to pellet soil, cell debris and lysing matrix. The released DNA is purified by a silica-based GENECLEAN® procedure using SPIN filters and removes humic acids/polyphenols that can inhibit PCR. Eluted DNA is ready for PCR, restriction digest, electrophoresis and any other desired application. The challenge with extractions from soil is isolating DNA or RNA without contamination by humic acids or other PCR inhibitors. 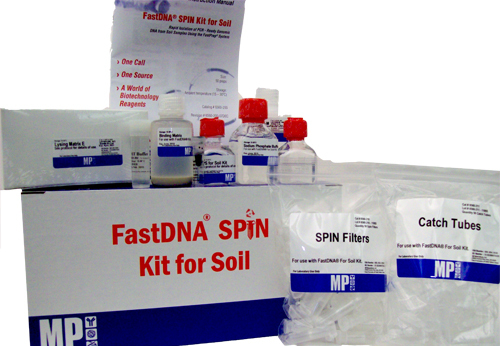 The FastDNA Spin Kit for Soil and FastRNA Pro Soil Kits used in combination with the FastPrep instrument will help overcome any difficulties with complete lysis of all soil organisms including historically difficult sources such as eubacterial spores and endospores, gram positive bacteria, yeast, algae, nematodes and fungi, and isolation of pure DNA and RNA. Effective, efficient sample preparation is critical to succcessful downstream results. Storage & Handling Store at Room Temperature.